2019 Annual Career & Graduate Fair! Online registration and payment must be received by Friday, March 1, 2019 to avoid late fees. Eventbrite will list all payment options prior to checkout. Please note, additional fees service fees will apply. 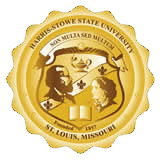 We look forward to connecting you with our Harris-Stowe State University scholars in 2019!